Ships from and sold by 20th Century Lost & Found. 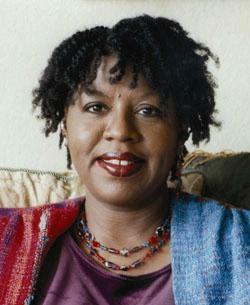 Nikki Grimes began penning poetry at the age of six. Her many award-winning titles include the picture books Talkin' About Bessie: The Story of Aviator Elizabeth Coleman, which won the Coretta Scott King Illustrator Award and a Coretta Scott King Author Honor, and Meet Danitra Brown, which won a Coretta Scott King Illustrator Honor. Coretta Scott King Author Honors went to her novels The Road to Paris, Jazmin's Notebook, and Dark Sons, and her novel Bronx Masquerade won the Coretta Scott King Author Award. In 2017, Nikki Grimes was honored by the American Library Association with the Laura Ingalls Wilder Award in recognition of her substantial and lasting contribution to literature for children. She lives in Corona, California. As a teacher for many years I have read and shared hundreds of books with students. This one is exceptional. Last year, desperate to really reach my third grade, low-achieving, inner city students, I looked through some books that I had put away. MEET DANITRA BROWN was among them, but for some reason I never read it before that moment. I took it to school the next day, hoping the children would enjoy the book, but not daring to hope for more. This powerfully poignant book elicited dialogue from my students as well as written responses that I didn't know was possible. What a motivator! Just because I taught third graders, please do not doubt the power of the text to transcend any age. The older a person the more they will be able to bring to the text. I would love to use this book with a group of inner city high school students. The rhythm and punch of the poetry(no turn-off to boys or girls at all)pulls the listener/reader in. The illustrations are icing on the (tough) cake of life. The lessons and morals within Nikki Grimes' language are unforgettable. I cannot say enough about the quality of this book except this: Fabulous! 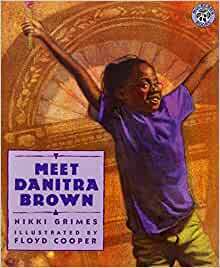 Meet Danitra Brown and Danitra Brown Class clown, are great books to diversify a book collection. Good books about African American girls can be difficult to find..
5.0 out of 5 starsYou really need to meet Danitra Brown! Classic book that I have loved and used for years in my classrooms K-8 and now in my university classroom. We need diverse books - this is a great one. Thanks Nikki Grimes for writing a book that reaches everyone across all cultures. After you read "Meet Danitra Brown" you need to read "Culture". Nikki Grimes book makes you want to be a child again to hang out with your good friends. Delightful book. Love to read it outloud. This is such an excellent book. I will not repeat what other reviewers and the book description explain already. I will only add that I read this book to my 5 year old and 3 year old (one boy, one girl) and they were both riveted. Although it is meant for slightly older children, it is entirely appropriate for younger ones. The illustrations are remarkably well done and are so warm, you just feel like you are there. 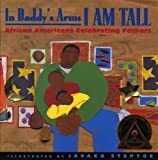 The subject matter of the poems is handled in such a way that a child who is not ready to hear about "the real world" will not be frightened, yet a child who is more sophisticated will be able to understand the deeper concepts that are inherent in some of the situations. The book is not preachy or overly sentimental, yet it is warm and friendly. My children love this book and ask for it over and over. I highly recommend it to any parent. Meet Danitra Brown is a wonderful rhyming book from beginning to end , but is more than rhyming its about a friendship.Zuri Jackson mentions her self once in a jump rope rhyme but that is Danitra friend that is describing Danitra and how a great friend she is.I also loved the illustrations it brought the two friends to life in each page.I think this would be a good book to read to a second or third grade class when teaching them poetry and then giving them a chance to write their own rhyme about someone that means a lot to them. This book is a collection of poems telling about a very close friendship between two young girls. Danitra Brown is a young black girl who loves being herself. When other children tease or talk about her she ignores them and keeps a positive attitude. Danitra's mother encourages her to strive for improvement in everything that she does. Danitra is able to pass this trait on to her other friends. The author paints a wonderful picture of her best friend, Danitra. The collection includes poems about bike riding, talking, sitting in front of the building, and shares a special poem about Danitra and her mother. The poems tell a story and are about the same people. The book has many rhyming schemes. It is recommended for k-3. In the classroom it could be used to help with word recognition with words that look alike and rhyme. I have added it to my home library and have a copy for my classroom library. 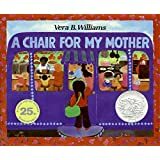 A ALA Notable Book and A Coretta Scott King Award Honor Book winner.